Bruce Springsteen cancels show over North Carolina anti–LGBTQ law. 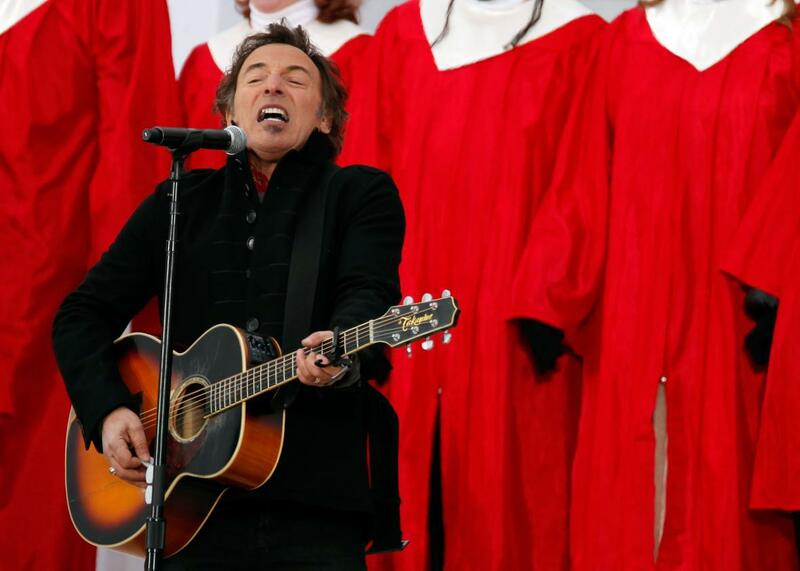 Bruce Springsteen at the January 2009 inaugural celebration for President Obama. Just as important, the law also attacks the rights of LGBT citizens to sue when their human rights are violated in the workplace. No other group of North Carolinians faces such a burden. To my mind, it’s an attempt by people who cannot stand the progress our country has made in recognizing the human rights of all of our citizens to overturn that progress. Right now, there are many groups, businesses, and individuals in North Carolina working to oppose and overcome these negative developments. Taking all of this into account, I feel that this is a time for me and the band to show solidarity for those freedom fighters. As a result, and with deepest apologies to our dedicated fans in Greensboro, we have canceled our show scheduled for Sunday, April 10th. Some things are more important than a rock show and this fight against prejudice and bigotry—which is happening as I write—is one of them. It is the strongest means I have for raising my voice in opposition to those who continue to push us backwards instead of forwards. Basically, I was pretty ostracized in my hometown. Me and a few other guys were the town freaks—and there were many occasions when we were dodging getting beaten up ourselves. So, no, I didn’t feel a part of those homophobic ideas. Also, I started to play in clubs when I was 16 or 17, and I was exposed to a lot of different lifestyles and a lot of different things. It was the sixties, and I was young, I was open-minded, and I wasn’t naturally intolerant. Certainly tolerance and acceptance were at the forefront of my music. If my work was about anything, it was about the search for identity, for personal recognition, for acceptance, for communion, and for a big country. I’ve always felt that’s why people come to my shows, because they feel that big country in their hearts. Springsteen is also known for passionately kissing male bandmate Clarence Clemons onstage.